Location: Salers, in the Cantal departement of France (Auvergne Region). 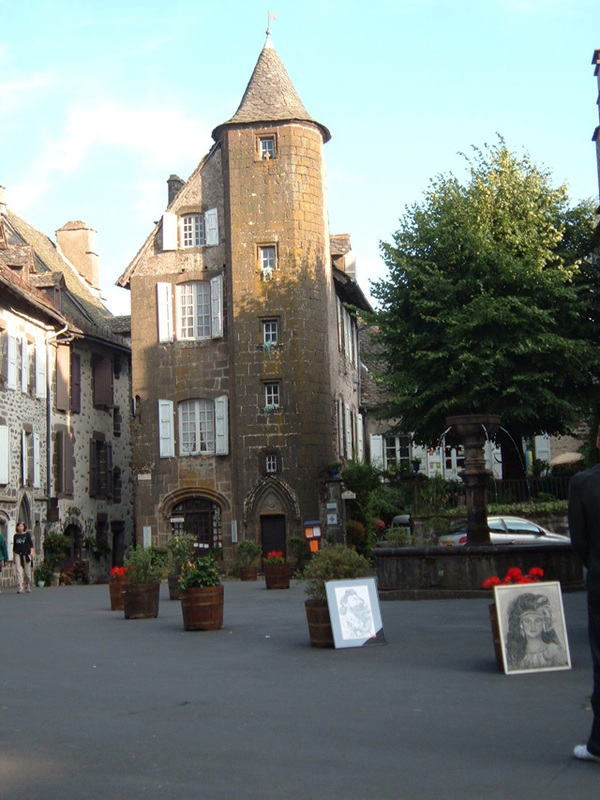 Notes: Hôtel de La Ronade is an urban house located in the village of Salers in the Cantal. This is the home of André Ronade The family, who gave several magistrates the Bailiwick of Salers. House three levels with a facade andesite and carefully paired a very narrow staircase turret. From 1307 to 1474 there are several Ronat to Ronat, The Ronat, known as Andrieu, one will Coadjutor Bishop of Clermont in 1343 then Bishop of Nyons and another Andrieu La Ronade as Bailiff in Bort 1474. André / Ronade: the merger of the two parent families, will be done in 1336 by the marriage of Phinoux La Ronade, heiress of the place with a caddy of Andre (Lagane branch), and one thinks of Bertrand Andrieu The Gane that same year Sulu is near. This André will name and arms of the family. Today, the building is known as the "House of Ronade" still inhabited by descendnats (Garrigue-Lagane). Visitors can enjoy the private rooms open to the public during literary and cultural evenings "café philo" "Read-dedication", etc ... organized by "Friends of Salers" association created by Jean-Pierre Lagane March 31, 1970.